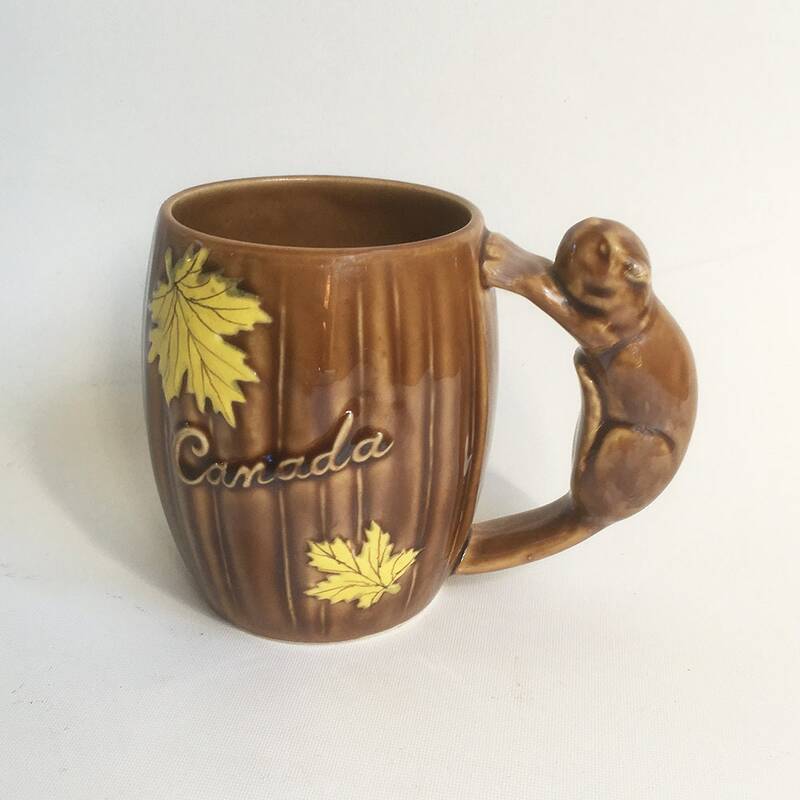 1950 Shafford Ceramic Canada Souvenir Mug with Squirrel Handle, Canadian Souvenir "Mid Century Road Trip Kitsch"
This kitschy, fun souvenir ceramic mug was made by Shafford with a date stamp of 1950. It features a squirrel shaped handle and golden yellow maple leafs and "Canada" in script on one side. The mug measures 4.5" (11.5cm) tall with a 3" (7.5cm) diameter rim; 3" (7 .5cm) opening for your fingers and 6" (15cm) from one side to end of handle. This piece is in very good to excellent vintage condition clean and free of chips or cracks and with shiny glaze. FREE SHIPPING to anywhere in the USA. Discounted International shipping as shown. Kitschy Vintage Treasure Craft Squirrel Ashtray with "Sequoia National Park" Souvenir- Fun Squirrel Tray - Bowl "Free USA Shipping"
1950s "Congratulations" New Baby Magazine, Hospital Handout, Baby Shower Gift, Baby Boomer Gift "Kitschy 1950s Fun!"